UPDATE 2015.06.21 - I built a new PC in June of 2015. Go here to learn all about it. The following post is all about my previous rig. While it's only been six months since my previous post on this topic, I've made a number of improvements to my setup that I figured were worth mentioning. I'm still using the same home-built PC from early 2010. There have been some changes, but it's the same processor, motherboard, case, and power supply that I've been using for nearly 4 years now. It's held up surprisingly well. I routinely produce projects that have 30-50 tracks of mixed VSTi and audio, and dozens of processing plugins with smooth, consistent operation. I've done a number of completely ITB (in the box) productions in the past year, and several times I've had to freeze VST tracks when the project got too busy for my CPU to handle. The only thing a new PC would get me is the ability to run more VSTi instances simultaneously, but as long as I'm able to freeze tracks, that's a low priority. Processor: Intel Core i7-950 @3.06 GHz (Bloomfield family, 4 cores, 8 threads). I'm using the factory heat sink. Motherboard: Gigabyte GA-EX58-UD5. Plenty of room and plenty of slots. Also has Texas Instruments FireWire, which is considered to be the best chipset for digital audio. Socket 1366 supports Intel Gulftown and Bloomfield processors. Case: Antec P183. Quiet and sturdy with isolated areas for power supply and hard drives, to reduce noise. I'm using the fans that came with the case. Hard drives: I replaced all three of my original 500GB drives with 7200RPM 2TB drives by Seagate and Western Digital. I got these all out of necessity, and in emergencies due to space requirements. Worth noting: One of the Seagate Barracuda drives I bought last year to replace my 500GB system drive started failing a couple weeks ago (large downloads were always corrupted). I just replaced it with a 2TB Western Digital Caviar Black , and everything's back to normal. Power Supply: Corsair HX650. Relatively quiet, with all the power this computer will ever need. Wonderful modular cabling; you only use exactly the number of wires you need. RAM: Two Kingston DDR3 1333 sticks @ 6 GB each, for 12 GB total. Wireless: Linksys WMP600N Wireless-N PCI Adapter with Dual-Band. Reliable connection, with good range. I do not have any of the audio problems some people report with their WiFi adapters. Optical: Plextor PX-B320SA Blu-ray Disc Combo. BD reader, and super multi writer. Video: Currently using an ATI Radeon HD6450 graphics card to run two monitors. The drivers for the NVIDIA card I had before were conflicting with the drivers for my PCIe audio interface on both Windows 7 and Windows 8. This card is actually a downgrade in terms of graphics power, but it uses less electricity and is quieter than the NVIDIA card, and I hardly ever play games these days. It has both HDMI and DVI outputs, which is perfect for me since one of my monitors is HDMI only and the other is DVI/VGA. MIDI Controller: I sold my AKAI keyboard controller for a much simpler Roland A-49 keyboard controller. I thought the AKAI was a fine device, but it was enormous due to all of its pads and faders and other controls which I simply never used. I traded the AKAI's enormous feature set for the Roland's light, slim design to reclaim some serious desk space. Audio Interface: Over the summer I purchased a number of current-model prosumer audio interfaces to do some "shootout" tests (which I will likely post about eventually). I ordered a RME Fireface UFX , as it is pretty much the pinnacle of prosumer interfaces, fully intending to sell it off after my tests were complete. Problem is, the thing is so great, what with all the I/O options and the awesome TotalMix routing software, that I couldn't bear to part with it. Anyway, that's my current interface of choice. I'm using it via FireWire, but it works just fine via USB as well. The UFX replaces my MOTU 24 I/O PCIe Core System , which is still a great, solid performer. DAW Controller: I'm 90% a Cubase user these days, so I upgraded to the Steinberg CC121 Advanced Integration Controller for most DAW controlling needs. (It works with other Steinberg products like Wavelab too.) It integrates wonderfully with Cubase, and is pretty much a must-have in my day-to-day use, now- especially when tracking vocals. The bad news is that it is Steinberg-specific, and can't be programmed to work in third-party DAWs. DAW Controller: KORG nanoKontrol2 . I got this because I wanted a physical device with transport controls for Ableton Live. It has built-in templates to integrate with all major DAW packages, and also includes buttons for setting and navigating markers/locators in audio projects, plus 8 rows of channel strips which map to tracks inside your DAW. A really handy little controller, at an unbeatable price. Even though I'm mostly using Cubase these days, I still have this little guy wired up because it makes my life easier whenever I happen to be working in Live. Monitor Controller: Three things I like to have within reach at all times are a headphone jack, a monitor volume control, and a monitor mute switch. The SM Pro Audio M-Patch V2 gives me all of this and more. You can switch between two different monitor sets, and even switch between two sets of inputs (one balanced, one unbalanced), and it's got a stereo/mono toggle for checking your mixes. This thing's big and weird looking, but it sounds great and has everything I need. I've heard some folks complain about the clicky master volume encoder. Well, the M-Patch even comes with a traditional pot-type volume knob that you can pop in if you don't like the encoder. Reference Monitors: A few months ago I was shopping for a compact pair of active monitors that I could take with me for some music production demonstrations. I wasn't really looking for "flat response" true reference-quality speakers. Just something small that sounded nice. I was most impressed by the Presonus Eris E5 active monitors. But then the tweeters blew on my JBL passives, and now the E5s ARE my reference monitors! This things are pretty nice, although I will probably pick up some JBL LSR305 or JBL LSR308 monitors in the coming year, for a flatter response and lower noise floor. Sub woofer: Going from hefty 8" JBLs to the compact Presonus 5" speakers cost me a fair amount of low end, so I picked up the JBL LSR2310SP Powered Studio Subwoofer to round out my sound. I don't have much experience with woofers, but the way this one's designed, you route sound from your audio interface's stereo outs to the subwoofer, and then from the sub to each of your active monitors. You set the crossover frequency on the subwoofer, so the monitors only receive the mid/high frequencies. It works really nicely, and has actually improved my mixing a bit. I discovered I had been mixing in too much bass before when I was working with the old setup. Note: I often see people asking whether they should upgrade to Windows 8 for DAW use. I've actually done a LOT of benchmarking work between Win 7 and Win 8, and my answer is this: If you are buying a brand new computer that already comes with Windows 8, it works just fine. 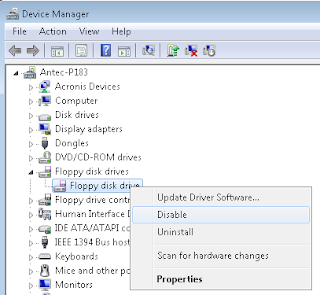 If you've got an existing computer running Windows 7 and you are happy with how it works, just stick with Windows 7. The various performance tweaks Microsoft made to Windows 8 do not have anything to do with audio/DAW performance, and some devices do not have drivers that are fully compatible with Windows 8. So there's nothing wrong with Windows 8, but it is NOT a must-have for music production. DAW: Steinberg Cubase 7 . I've been a cubase user since the very first release on Mac in 1994, although the Cubase of today is wildly different from the MIDI-only Cubase of the early 90s. After some tweaking I seem to have 64-bit Cubase 7 running pretty stably. Version 6.5 seemed a little bit more reliable, but I'm doing okay for now. I believe that if you buy retail Cubase 7 now you get a free upgrade to the latest version, 7.5. DAW: Ableton Live 9 Suite . With version 9, Ableton Live added some really interesting new features and significantly improved a number of their built-in effects. I've completed several productions in Live 9 and have found it to be a really enjoyable environment. Both Live 8 and 9 offer 64-bit versions now, too! I just really wish Live had VST 3 support; a number of plugin developers only offer 64-bit plugins in VST 3 format, so Live's VST compatibility isn't the greatest. Audio Editor: Steinberg WaveLab 8 . I've used a number of free and commercial audio file editors, and none of them have matched WaveLab for features and ease of use. It's a mature product that has tons of editing, processing, metering, and analysis tools. Apparently some previous versions of WaveLab were criticized for lacking proper documentation, but that's no longer the case. Steinberg has full PDF manuals available for download. VST Instruments: Far, far too many to mention. I can strongly recommend the Native Instruments Komplete packages (especially Komplete 9 Ultimate ). They really cover all the basics for software synthesis, and include a growing number of solid effects, too. Ever since I've had Native Instruments Traktor I've had this problem where every time I started it, I'd get an error message that said "The drive is not ready for use; its door may be open..."
After unsuccessful web and forum searches and a ton of experimentation, I finally figured out what was going on. For whatever reason, Traktor tries to access your installed storage devices when it starts up. My computer doesn't have a floppy disk drive (not may do any more), but Windows had a "Drive A:" device registered anyway, and whenever Traktor tried to access this non-existent device, the error would occur. 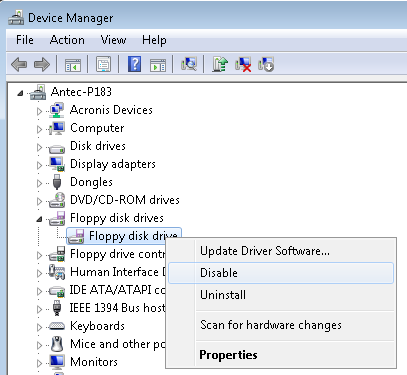 Here's how I fixed it: I opened up the Windows Device Manager, found the bogus drive entry, right-clicked it, and disabled it. Windows warned me that it would cause the device to no longer function (no big deal since there was no device in the first place), and after that the drive appeared disabled in Device Manager. Now Traktor no longer pops up the error, and it actually starts a bit quicker too! 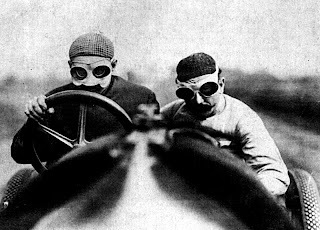 Auto-Tune Live, and versions of Auto-Tune EFX 2.1.1 or greater are not supported on Live due to Live's lack of support for the VST3 plugin format. They actually do mention this on their site. But you'll have trouble finding out this other detail: Ableton Live 8 and 9 both have 64-bit versions, but from my own experience with recent Antares products, the 64-bit versions are all VST3, which means you cannot use them in 64-bit Ableton Live. So, as of this writing, if you're running 64-bit Live, you won't be able to use a 64-bit version of any current Antares product, although you can probably use some 32-bit Antares plugins with some kind of 3rd-party plugin bridging solution, like jbridge. Also, not even 32-bit versions of Auto-Tune Live and current versions of Auto-Tune EFX will run on any version of Ableton Live. The pitch correction options are kind of limited on Live. 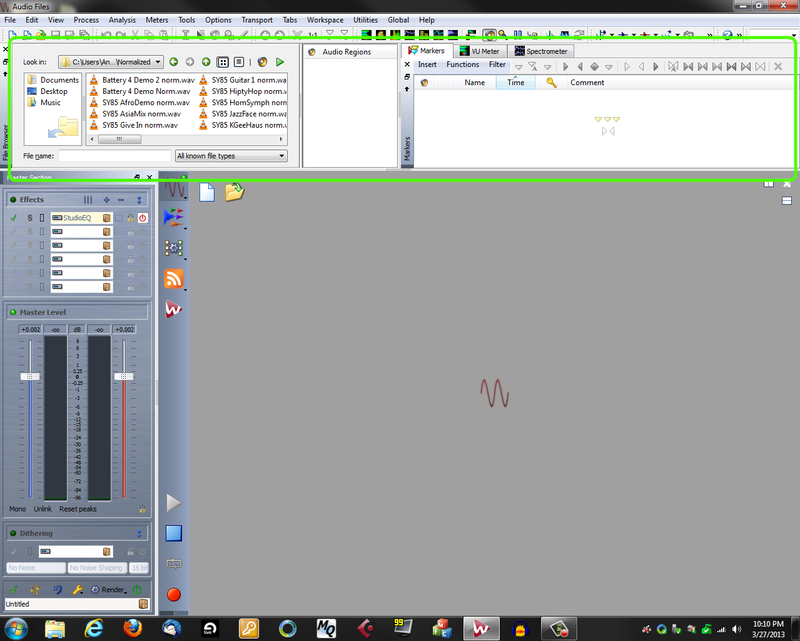 Waves Tune is not compatible with Live at this time, which basically leaves Celemony Melodyne . When doing pitch and harmony correction on Live projects, I sometimes export the vocals to Steinberg Cubase , which has built-in Pitch Correct and VariAudio features, and then re-import the audio back into Live. 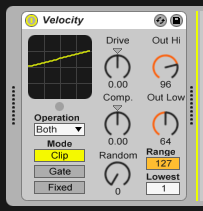 Ableton Live has a handy little MIDI effect called Velocity. Among other things you can use it to set minimum and maximum velocity values for the current MIDI track. The result is that you can adjust the MIDI velocity values during playback without making any permanent changes to the MIDI clip itself. Here's a screenshot of a Velocity device that sets a velocity range between 64 and 96. Any notes in the clip with velocities below 64 will play back at 64, and notes with velocities higher than 96 will play back at 96. 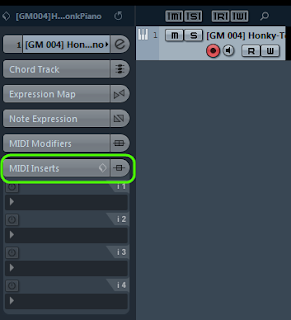 This is such an easy way to make non-permanent adjustments to MIDI tracks and I've wanted a way to do something similar in Cubase. While Cubase offers many, many ways to permanently and temporarily edit MIDI data, what follows is the closest method I could find to mimic what the Ableton Live device does, and it should work on both full Cubase and Cubase Artist. The following example sets a minimum velocity of 64 and a maximum velocity of 96, just like the Ableton Live example. Once you understand the basic steps, you can customize to meet your own needs. Select a MIDI track or Instrument track where you want to limit the velocity range, and open up the MIDI Inserts tab on the left of the arrangement window. Add the Transformer effect to an insert slot. Note that the Transformer window has three sections: The Filter Target pane, where you will define notes to look for, the Action Target pane, where you define actions to perform on the found notes, and the Function bar, where you specify the general category of operation to perform. First off, make sure to select Transform on the Function bar. Click the + under the Filter Target pane and (if necessary) change the values that appear so the line says Type Is, Equal, and Note. To create a preset that you can use in other projects, click the Store Preset button (the little page icon with a plus on it) and enter a name for the preset. Now add another Transformer to your MIDI inserts list so we can set the maximum velocity value. Repeat steps 3-7, only this time specify a Parameter 1 of 96 for both panes, and make sure the Filter Target Velocity Condition is set to Bigger. Store a preset for this Transformer setup as well, and now you'll quickly be able to restrict the upper and lower MIDI velocity ranges to any MIDI or Instrument track in Cubase. To learn more about the Transformer, see the chapter in the Cubase operation manual named "The Logical Editor, Transformer, and Input Transformer." I've had this problem on every version of Cubase I've used from 5.0 through 7.0. For whatever reason, the presets for Cubase's MIDI Insert plugins never seem to get installed in their proper location, with the end result being that none of the MIDI inserts appear to have any presets available when you try to use them- when in fact Cubase includes hundreds of presets. Quit Cubase if you currently have it open. Inside the Cubase folder, open the folder named Presets. Inside it, you should see folders for: Arpache, Auto LFO, Chorder, Input Transformer, KeyCommands, Logical Edit, Micro Tunings, MIDI Monitor, MidiContextGate, MIDIEcho, Project Logical Editor, Staff Presets, StepDesigner. These are the preferences folders for all those inserts! Leave the Presets folder open. You will need it shortly. You should now be in the AppData\Roaming folder for your current Windows user account. Once inside the correct Cubase folder, open the folder named Presets. You will probably find that most or all of the MIDI insert preferences folders are missing. In the original folder you opened in step 3, select any preset folders you wish to copy to your AppData folder in Explorer. Right-click the selected folders and type CTRL+C to copy them into your clipboard. 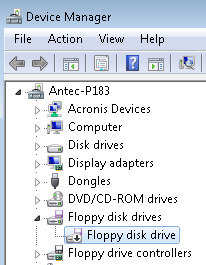 Now click your mouse in an empty area in your AppData Presets folder (from step 6) and press CTRL+V. This should make copies of the presets folders. If some of the files or folders were already there, just let Windows replace the existing files. Now launch Cubase, create an instrument track, and place a MIDI insert on it. When you open the plugin and click the Select Presets box, you should now be able to pick from a list of presets for that MIDI insert. The resulting song is available for download on SoundCloud. I also made a companion video. Enjoy. UPDATE (2013.12.28): I just made a new post about my current DAW PC setup. Some things have changed since I wrote the following article. UPDATE (2015.08.16): And I eventually built a brand new DAW PC. I'm still using the same home-built PC from early 2010, with some minor changes. It's held up surprisingly well. I routinely produce projects that have 30-50 tracks of mixed VSTi and audio, and dozens of processing plugins with smooth, consistent operation. I've only ever had to freeze VSTi tracks to audio once- in a project where every instrument part was either an instance of Native Instruments Massive or Reaktor. The only thing a new PC would get me is the ability to run more VSTi instances simultaneously, but as long as I'm able to freeze tracks as needed, that's a low priority. Hard drives: I replaced all three of my original 500GB drives with 7200RPM 2TB drives by Seagate and Western Digital. I got these all out of necessity, and in emergencies due to space requirements. The next time I build a PC I will use only WD Caviar Black drives (still the standard for fast and quiet) but the ones I'm currently using are fine for now. Video: Currently using an ATI Radeon HD 5700 graphics card to power two monitors. The drivers for the NVIDIA card I had before were conflicting with the drivers for my PCIe audio interface on both Windows 7 and Windows 8. This card is actually a downgrade in terms of graphics power, but it uses less electricity and is quieter than the NVIDIA card, and I hardly ever play games these days. Audio Interface: The, MOTU 24 I/O PCIe Core System , which includes MOTU PCIe-424 interface with the 24I/O expander. The PCIe-424 is a low-latency interface card that can have up to four expanders connected, presenting them all to your DAW as a single mega interface. The 24I/O doesn't have any preamps or effects (or even a headphone jack!) like my old interface- it is simply 24 balanced analog ins and 24 outs. Most of my hardware synths are connected directly to the 24I/O but I had to connect some of them to a patch bay, and I route them to the interface as needed. DAW Controller: Steinberg CMC-AI controller . This small little controller has what Steinberg calls an "AI knob" which can serve as a jog wheel or as a universal controller for just about any knob or fader in a Steinberg product or a currently-focused VST plugin. The bad news is that it is Steinberg-specific, and can't be programmed to work in other DAWs. DAW Controller: KORG nanoKontrol2 . I got this because I wanted a physical device with transport controls for Ableton Live. It has built-in templates to integrate with all major DAW packages, and also includes buttons for setting and navigating markers/locators in audio projects, plus 8 rows of channel strips which map to tracks inside your DAW. A really handy little controller, at an unbeatable price. DAW: Steinberg Cubase 7 . I've been a cubase user since the very first release on Mac in 1994, although the Cubase of today is wildly different from the MIDI-only Cubase of the early 90s. After some tweaking I seem to have 64-bit Cubase 7 running pretty stably. Version 6.5 seemed a little bit more reliable, but I'm doing okay for now. Steinberg Wavelab 7 displays more information on your screen depending on your monitor's resolution. If you have a relatively low screen resolution, you might not be seeing all the default elements of your given workspace. This is another detail about WaveLab that's infuriatingly undocumented, but through some personal experimentation, I've determined the minimum monitor resolution you need to have in order to see a complete workspace: 1280x1024. If your monitor supports at least 1280x1024 resolution, you will see not only the core elements of any given WaveLab workspace, but you'll see the tab groups (circled below) up at the top portion of the screen as well. If you happen to be running at a lower resolution (anything less than 1024 vertical), you can only see the tab group elements if you force them onscreen by selecting them from Workspace > Specific tool windows or Workspace > Shared tool windows. The monitor I had when I first got WaveLab was 1600x900, and did not show the tab groups. I just recently upgraded to a Dell S2440L , which now shows the tab groups at its native resolution of 1920x1080.